Charlie Brown and the Peanuts gang first became animated characters in the 1965 TV special, A Charlie Brown Christmas. 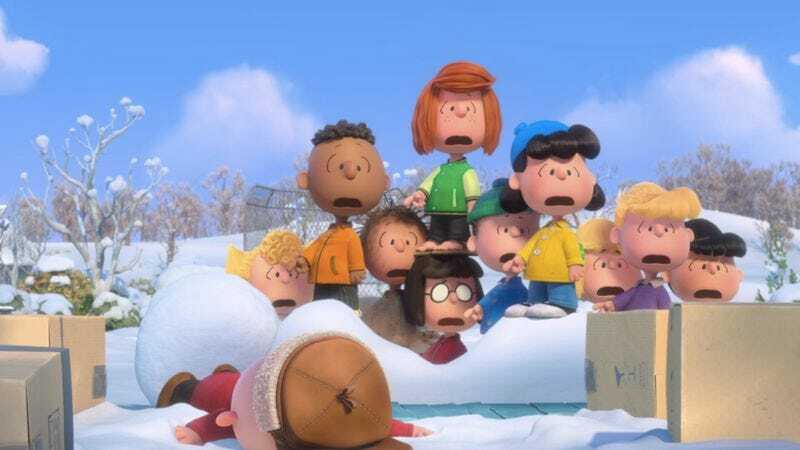 On November 6, they will become 3-D, computer-generated characters in The Peanuts Movie, produced by Blue Sky Studios. Now you can create your own downloadable Peanuts avatar while listening to “Linus And Lucy” by Vince Guaraldi. Choose the gender, skin color, hair style and color, eye and mouth expressions, clothing and accessories of your avatar and place it in a fall or winter scene with the rest of the gang. You can even create another red-haired girl for Charlie Brown to fall in love with. And if you still can’t get enough of the Peanuts gang, you can watch the new trailer for The Peanuts Movie.